Bruce and Lorie Halle have owned Don Tracy Glass Company since July of 1992. Bruce grew up in the glass business, helping out with the family glass shop, Mid-Island Glass, on Long Island, NY. After serving in the U.S. Navy, Bruce moved to Oklahoma to be close to his sister and began working in the glass business. After nine years of working in and learning more about local glass needs, he decided it was time to have his own shop and so acquired Don Tracy Glass Company. Coming in with years of management training, Lorie joined him in 1999 as the Office Manager. The shop was originally located at 6th and Rockford in Tulsa, Oklahoma but after a few years, the shop was moved to the South Harvard Avenue location in order to more easily accommodate walk-in customers and those who wanted to visit a show room to view the products offered. 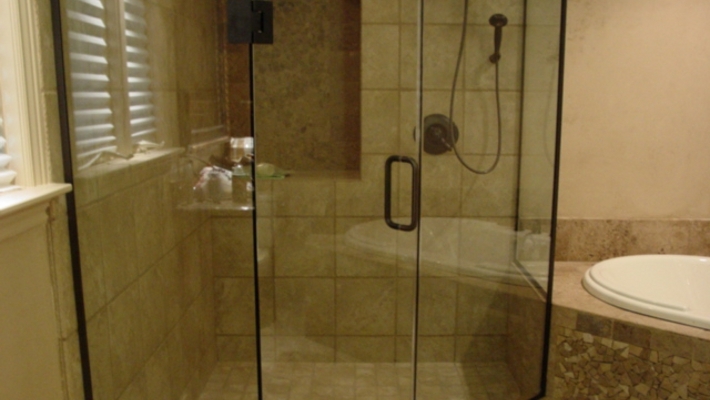 The business name, Don Tracy Glass, has been around since 1964, when Don Tracy established the business and still represents what Don set out to do: provide a quality glass product with an emphasis on customer service. Located in a safe and convenient area of Tulsa, we are now easily accessible and have plenty of parking for our customers.